What an amazing collaboration! We were delighted to introduce our STEM Ambassadors to the Polar Explorer Programme and connect experienced professionals with local schools. 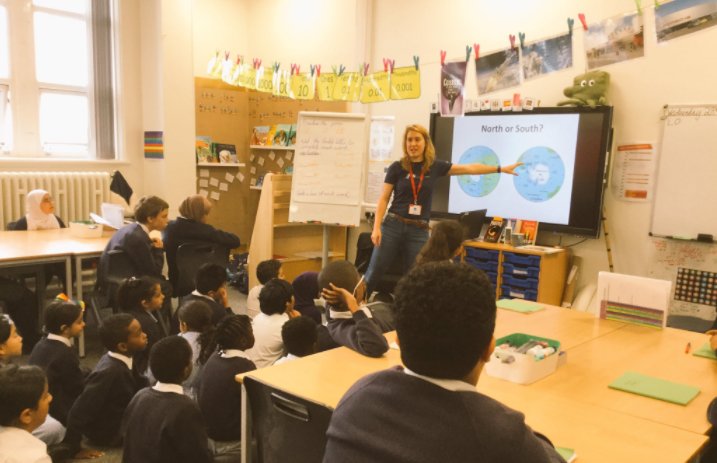 Polar Explorer Ambassador Sue Andrews, STEM Ambassador & PhD student Madeleine Brasier and Year 3 Teacher Beth Comer talked to us about inspiring the next generation of scientists through their successful sessions at Smithdown Primary School. 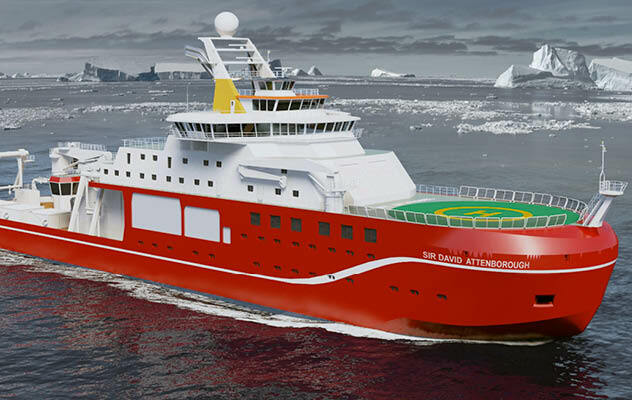 “The Polar Explorer Programme aims to encourage and support schools to enrich their teaching of STEM subjects, placing relevant curriculum topics within the context of both the construction and launch of the new research vessel The RRS Sir David Attenborough and of polar exploration in general. 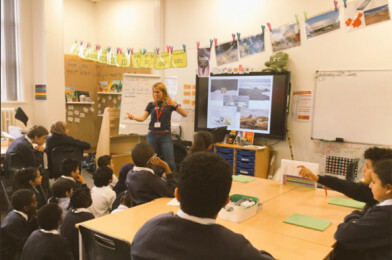 As an ambassador for the Polar Explorer Programme, my job is to work with a group of primary schools, helping them to take part in a range of activities and providing in- school professional development for the teachers in the form of a CPD session. I am passionate about being a mentor, providing support in aspects of the science curriculum and helping teachers engage with the variety of practical activities available, so that they are confident to deliver some themselves. I also love working with the children in class and have designed investigations aimed at encouraging the pupils to work scientifically, taking on the role of polar scientists or engineers to solve problems relating to buoyancy or how the size of a propeller or the shape of a boat’s prow can affect its passage through water. One of the main aims of the project is to introduce the children to the world of work and the wide range of careers that exist related to polar exploration. 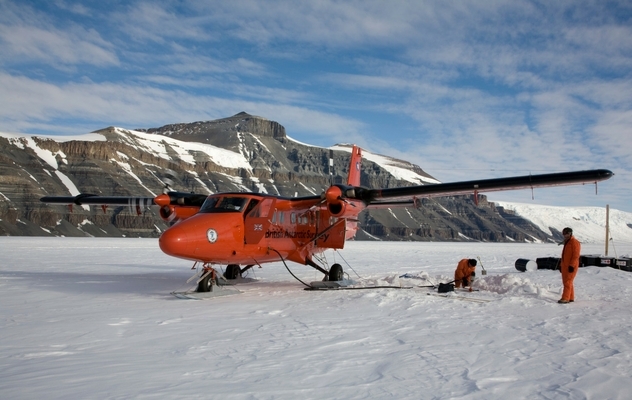 Even more exciting is meeting real polar scientists and discussing the work that they do. I decided to make links with All About STEM and requested a list of anyone engaging in boat design, engineering, polar exploration, climate change or scientific research. Would these individuals be prepared to talk to the children via Skype or even better, would any be willing to visit my schools and lead a practical activity? I was thrilled when a varied list of volunteer STEM ambassadors was emailed to me and even more delighted when some agreed to be ‘interviewed’ by the children. So far, we have been thrilled to welcome Maddie Brasier, a young PhD student from Liverpool University, a biologist with a focus on marine animals and who has actually visited Antarctica twice. She spent a whole morning in one of my schools,talking to children from Y3 to Y5 and answering some very tough questions! A second ambassador, Julia Hunt, is a geographer, with experience in flood modelling. She visited Neston Primary School and provided a fascinating presentation about exploration and oceans and then talked about her education/career journey. The children were captivated and inspired. Another STEM ambassador who is a Navy architect and Ship surveyor, with experience of submersibles, has agreed to visit another school in my group in October. He will give a talk and perhaps engage the children in a practical activity. Finally, Andy Melia, who actually worked for the British Antarctic Survey and is passionate about the polar regions, is keen to support my schools and we hope to set a couple of dates in the autumn term. “It is always great to share my experiences and knowledge of the Polar environment with young and enthusiastic students. During my visits to Smithdown Primary I spoke to around 60 children from year 3 to 5, introducing them to the differences between the two polar regions, some of the challenges involved in working in these environments, the marine life I study there and the future of these environments under changing conditions and human pressures. The students were superb, keen to listen and ask questions. Young people often ask some of the most interesting (and challenging) questions, everyone has a different familiarity or perception of science and why it is important. It was great to generate such a insightful discussion with the class.